Japanese snacks tend to change flavors alongside the seasons here in Japan. So, people become excited as the days go by for the new snacks that are right around the corner! In Japan, one of the most popular fall snacks is sweet potato. Did you know that there are even sweet potato trucks that drive around selling grilled sweet potatoes? As you can see, sweet potatoes are a serious deal here. So, we want to introduce some of the new sweet potato flavors coming out this year! First, you can see these sweet potato flavored Japanese snacks above. From left to right, we have sweet potato cookies, sweet potato chocolates, and a sweet potato milky candy. These combinations intrigue us. However, the milky candy interests us the most! Milk flavored candy mixed with sweet potato? We can only wonder how that will turn out! So, as soon as those come out, we are going to try to snag them asap! Next, conveniences stores throughout Japan will sell these sweet potato mochi Japanese snacks. 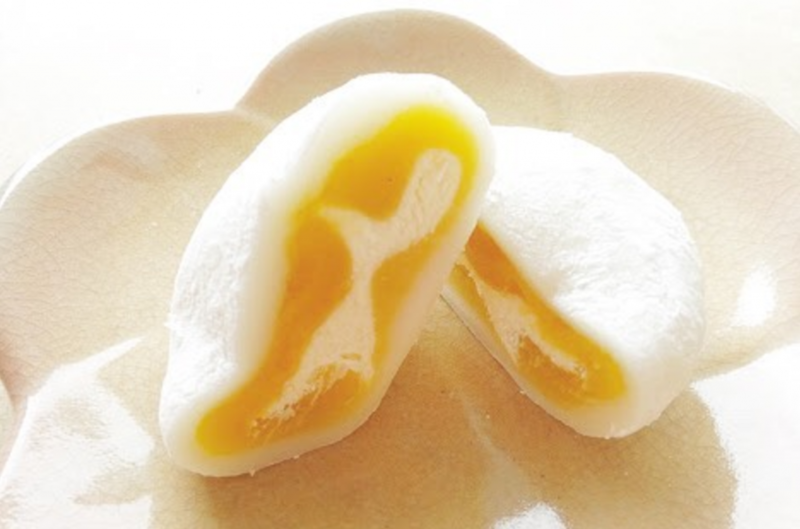 The outside is a rice mochi filled with sweet potato and a whipped cream center! This mixture of the rich sweet potato and the light fluffiness of the whipped cream sounds like a perfect combination! Also, we love how the white and orange colors represent the fall season so well! 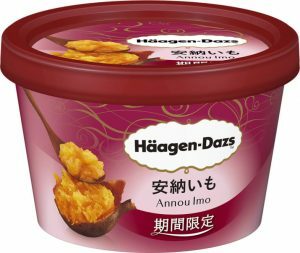 Last, Häagen-Dazs is releasing a new sweet potato ice cream flavor. Häagen-Dazs is famous in Japan for all of its unique flavors, and they don't disappoint this fall either. The past few Häagen-Dazs flavors have been absolutely delicious. So, we are confident that this will be amazing as well. We hope that this comes out sooner than later! So, have you been convinced that sweet potato is a versatile fall treat yet? Or, will you just need to try these out for yourself to believe? 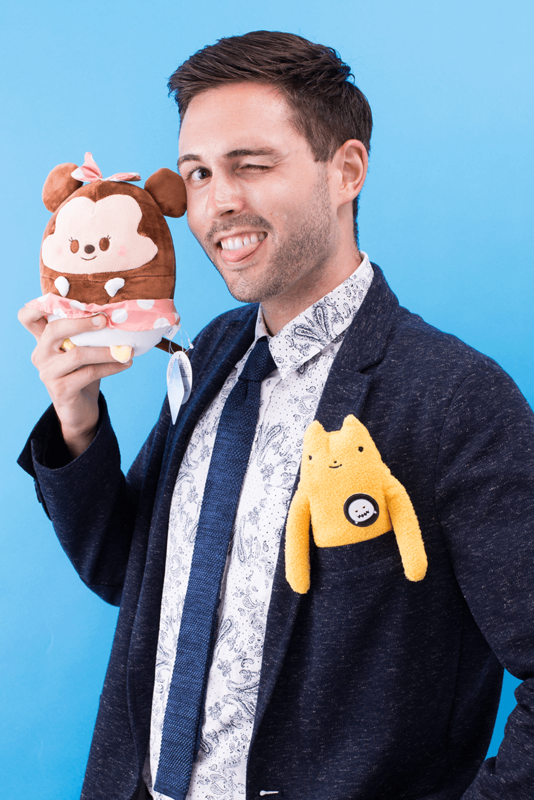 Let us know in the comments below which of these fall Japanese snacks you would try!